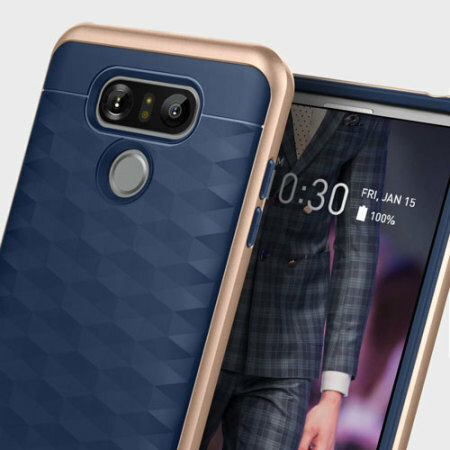 Protect your LG G6 with this stunning premium dual-layered shell case in navy. 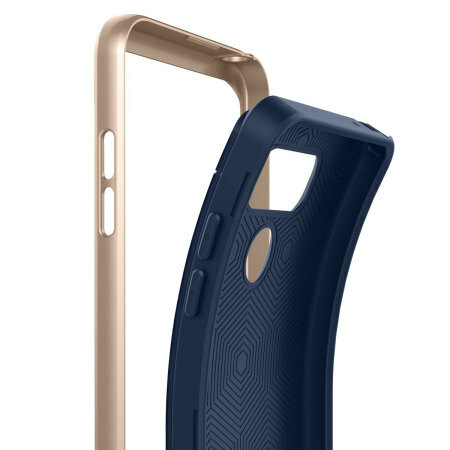 Made with tough dual-layered yet slim material, this hardshell body with a sleek metallic bumper features an attractive two-tone finish. 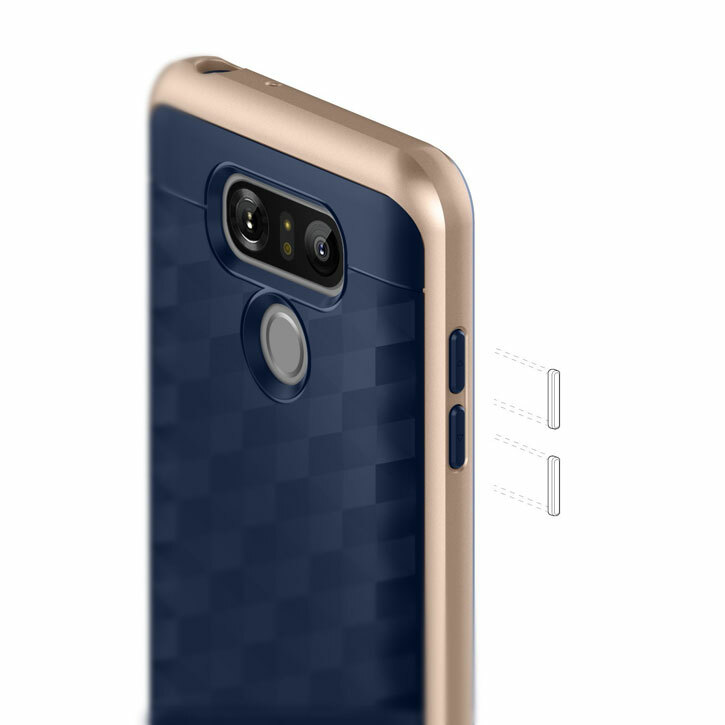 Protect your phone from scratches, knocks and drops with the Caseology Parallax Series Case for the Google LG G6. Featuring a tough dual-layered hardshell frame construction and a smooth, metallic frame that is tough enough to protect your device, without adding unnecessary bulk. The inner TPU core features shock absorbing strength allied with a stunning patterned finish on the back. The inner patterns also help deflect shock force and aid heat dissipation. The air spacing within the corners help protect your smartphone from harm, providing peace of mind while adding an attractive two-tone appearance to your LG G6. Designed with both form and function in mind, it is comparatively slimline providing the protection your phone needs without adding the extra bulk. Therefore, while being protected at all times, your Google LG G6 will still easily fit within a pocket or a bag. The edges surrounding the sides of the case provide a natural grip, so you can be sure of a good firm hold of your LG G6. 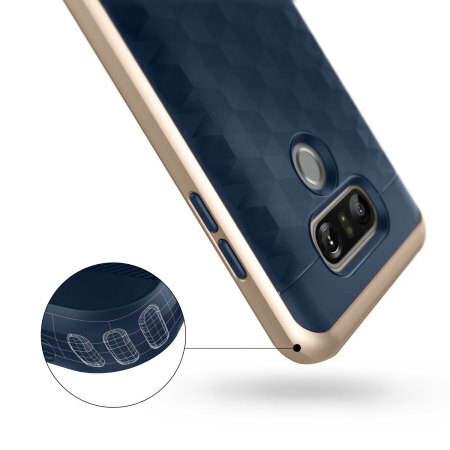 The Parallax case features state of the art shock absorption through its air cushioning technology, which provides excellent, tough protection for your phone should you ever have need of it. 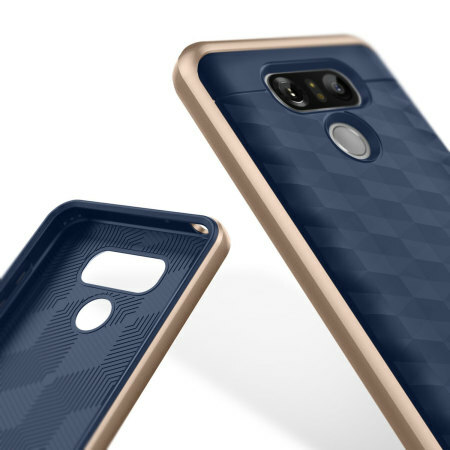 With a sleek stylish design, the Parallax Series Case for the Google LG G6 provides your phone with an attractive protective case that is sure to be noticed by your family, friends and work colleagues. This is due to the striking dual textured appearance, that adds additional beauty to your LG G6. As an added bonus, metallic tactile buttons protect the phones own without compromising on usability. They also look great. 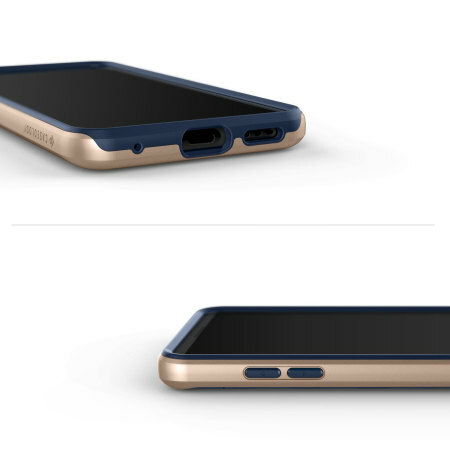 The Parallax Case features cut-outs for all of the ports, such as the charging connector and camera. This also means you can leave the phone in the case and enjoy all of its features, ensuring it is protected at all times. 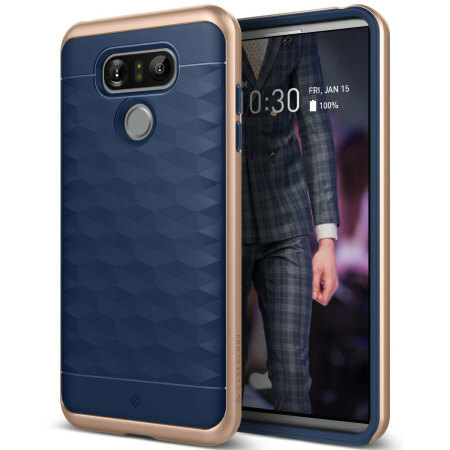 Designed with the phone in mind, this case compliments the features of the Google LG G6 so it looks just as good with the case on as it does off.